Who loves to pamper themselves with a facial mask? I do! Facial mask is a staple in my beauty routine, I apply them at least 3 times a week and when I have extra time I'll do it for 7 times a week. Trust me you will see the difference after a week of applying a facial mask. I was thrilled to be invited to the launch of Dr Jou Facial Mask last week. Dr Jou is the brainchild behind Dr. Morita masks, which is a highly raved by users worldwide. With its success, they wanted to give fans even more sheet mask bliss, by coming up with a brand new series of face mask named Dr Jou. What's the difference between Dr Morita and Dr Jou? Dr Jou's facial mask is packed with a high concentration of active ingredients to provide effective results for specific skin conditions, its targeted towards more discerning users in search of high-quality cosmeceutical masks, this advanced daily skincare range avails itself at more professional settings. They instantly heal, deeply hydrates, repair and soothe our skin. 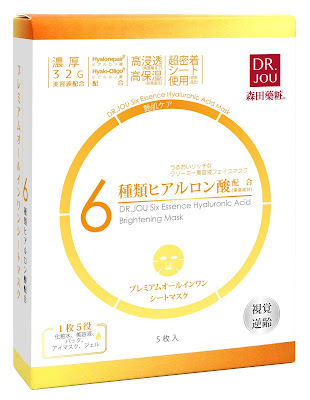 What's so special about Dr Jou's facial mask? 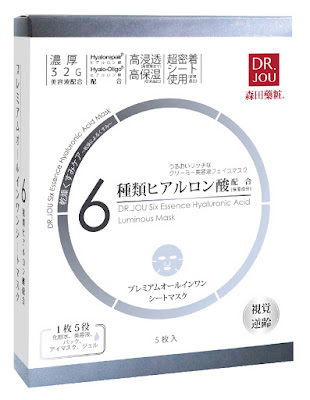 #3 100% Hyaluronic Acid imported from Japan. 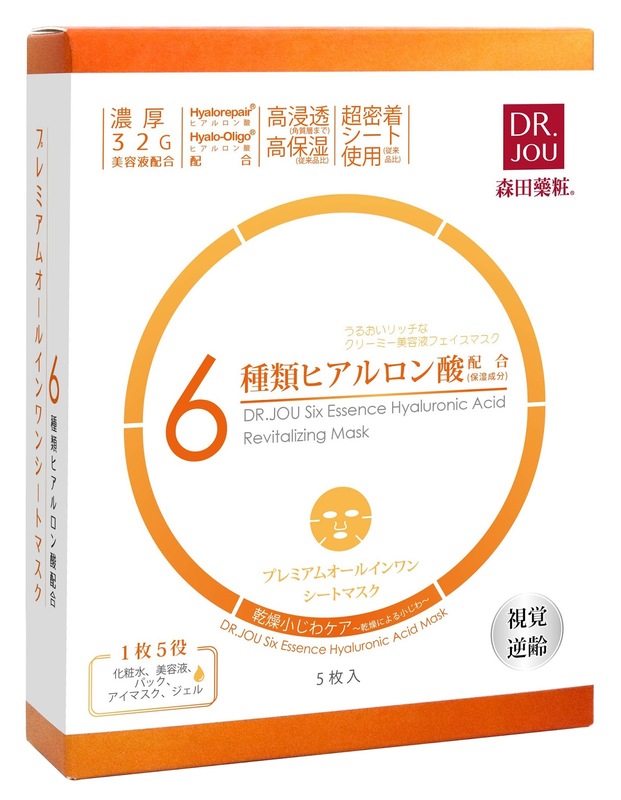 Each variant of mask consists of the signature six synergistic essences made up of Sodium Hyaluronate (Macromolecular), Hyaluronate Sodium Hyaluronate (Medium-sized molecules), Hydrolyzed Hyaluronic Acid ((Micromolecular), Hydroxypropyltrimonium Hyaluronate, C12-13 Alkyl Glyceryl Hydrolyzed Hyaluronate and Sodium Acetylated Hyaluronate. 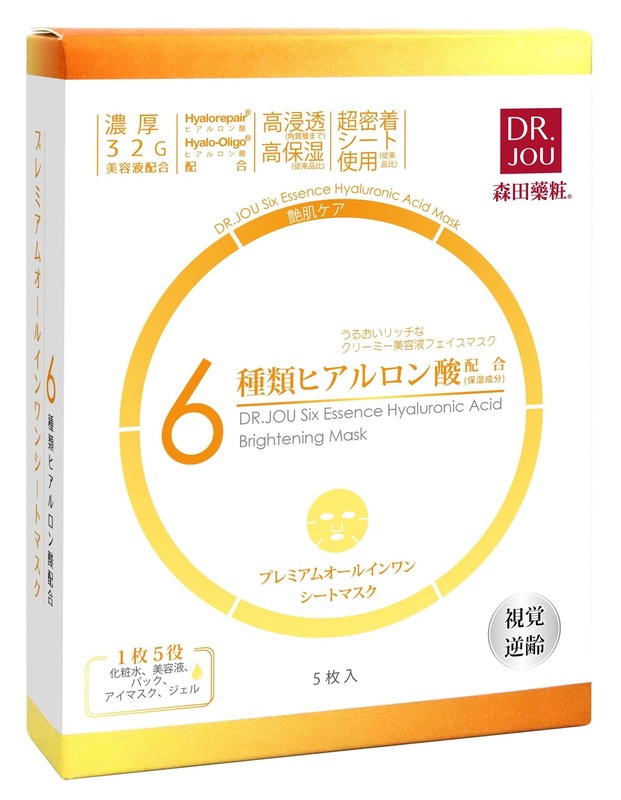 Dr. Jou has developed this range of high-quality ingredients masks based on extensive research. These masks are much more effective than any facial sheet masks you can find on retail shelves. It delivers professional quality results at a price you can afford. Best of all, there is no need to step out of your home to treat your skin to a salon quality pampering.” said Dr. Jou Jun Xu, Chief Executive Office of Dr. Jou Biotech. 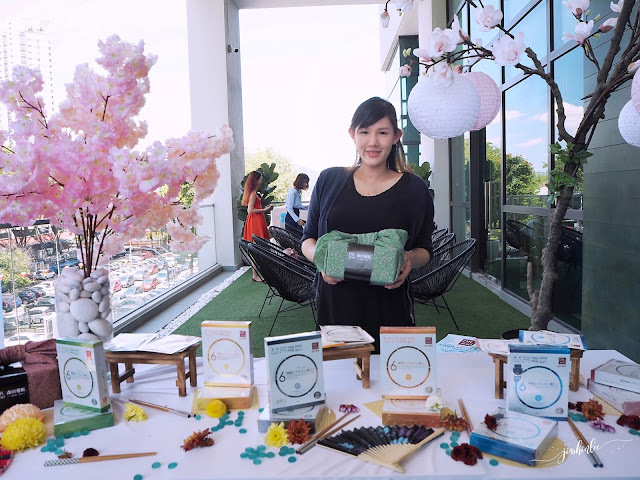 The event was graced by the very alluring social media icon, Venice Min, who shared with guests her firsthand experience using Dr. Jou facial masks in an interactive session. 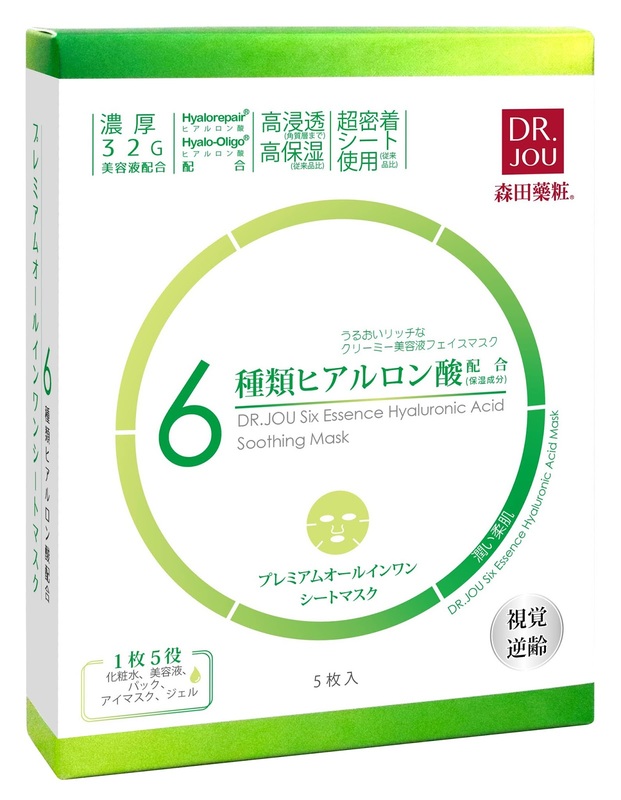 How many mask type is available Dr Jou's range? 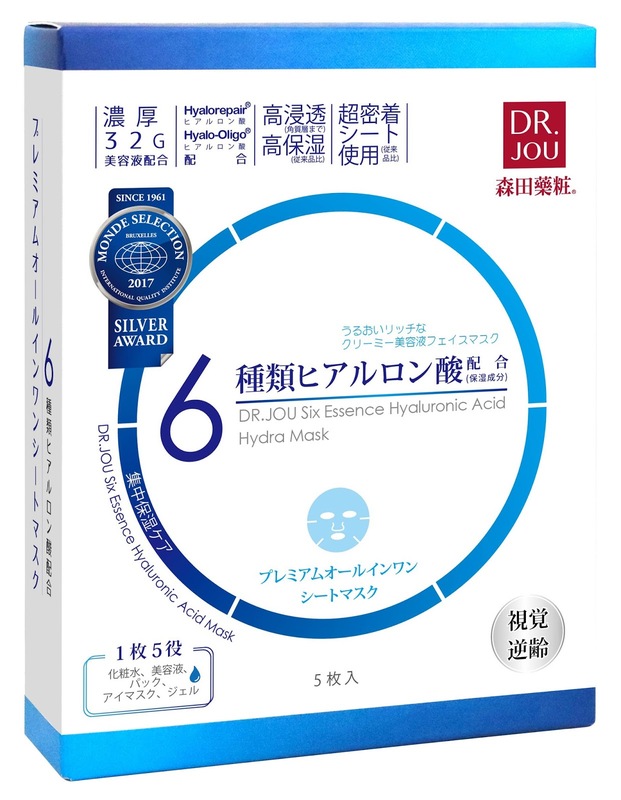 Dr Jou's best selling mask featuring its star ingredient, Hyaluronic Acid in various sized of molecules provides better absorbency. It also consists of squalane, vitamin B5 and tremella for a well-hydrated skin. Consists of squalane, tranexamic acid, mulberry white, European dragon bile and large algae work synergistically to reveal fairer skin. Tired skin gets energised with the extracts of wine meal soy milk, luo shen hua, barley, bird's nest, Q10, royal jelly and platinum particles. Extraction of squalane, daisy extract, lily extract, licorice extract, Komu extract keep pores cleaned and refined for smooth skin. 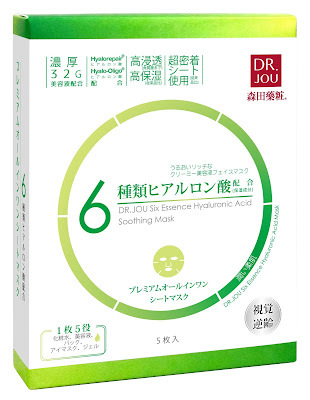 Where to purchase Dr Jou's Facial Mask? Dr. Jou Facial Mask complete range of masks are now available exclusively at Watsons Malaysia. Each box retails at RM38.90 with 5 sheets in it. i love to wear face mask..need to get and try this 1 too! 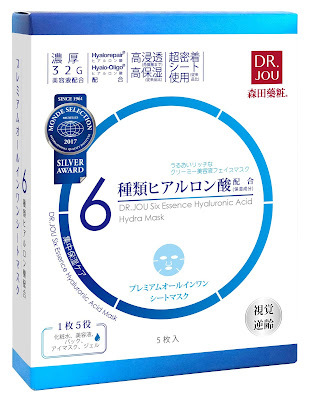 As it goes thru extensive research by dr jou..
Dr. Jou Six Essence Hyaluronic Acid Hydra Mask looks suitable for my skin. I like their variants of mask that match with the condition of our skin. I loveee mask....the Dr Jou mask make me want to have it now. Will buy it for my collections. For me, face mask is a must have item! After 1 whole day my face suffered, it really need a mask. Twice in a week. Wah. Terbaiklah face mask macam ni. Terdapat diferent type of mask for different type of skin face. Thats good so that we can choose whatever mask that suitable with our skin. Price also not bad. Very affordable for those who concern about money. famous la dr jou face mask ni. maybe it is the right time for to get one of those. Wah...its a good deal for a good mask that cost us not more than rm8. Memang nice kan Dr Jou. Bella pun suka sangat pakai sheet mask ni. Sebelum ni tak pernah nak cuba. Sgt percaya akan kesannya sebab masa demo tu dah terbukti. A lot of choice of mask. You can choose & chanhe the type for every day use 😄 I'm really love fave mask & wearing it before sleep. Is time for pampering session. I heard this mask is super good and can help to maintain your skin hydration. I suka face mask. Paling mudah utk bagi muka lembab dan sihat. Nanti I nak cari face mask jenama ni dan cuba. U dah cuba? What do you think? OK tak? Started using this mean after reading so many review arbor this and I like the finishing treating on my face. So many types of masks available. 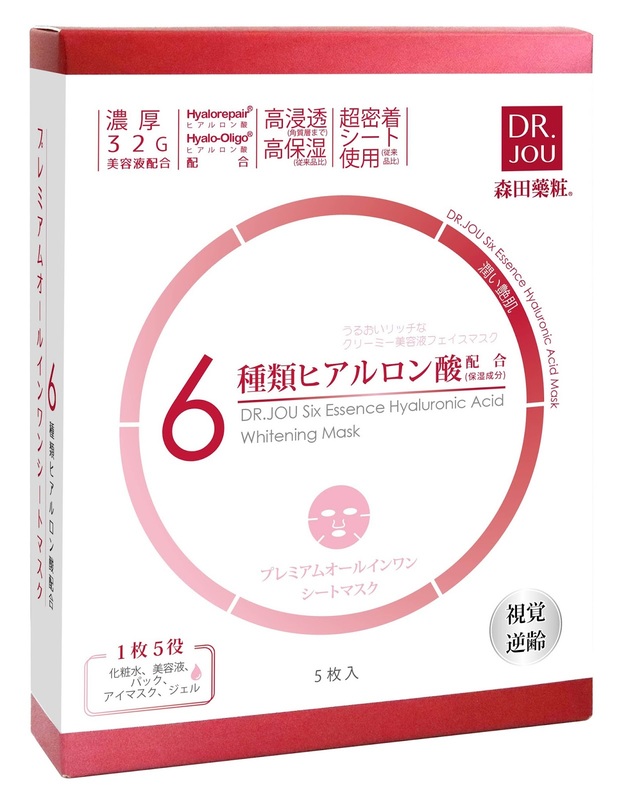 I wish to try Dr. Jou's Six Essence Hyaluronic Acid Luminous Mask that's what my skin needs.